Why should anyone care about copyright law? Even if the only creative work you’ve ever done is upload your profile picture to Facebook, surprise! Your life has been affected by copyright law. If you’re an artist or journalist who has asked the questions, “How can I get people to see my work?” or “How can I make money off of my work?” it may be helpful to take a look at this guide. If you’re just an average person who is afraid of getting in trouble for downloading the wrong file, or uploading the wrong video to YouTube, it might also be helpful. 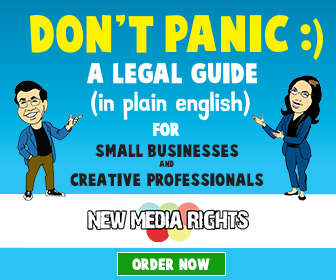 If you’re starting a business and you’re trying to figure out some of the legal issues that may affect your website, marketing materials, and promotional videos and photos, checking out this guide would be a great idea. 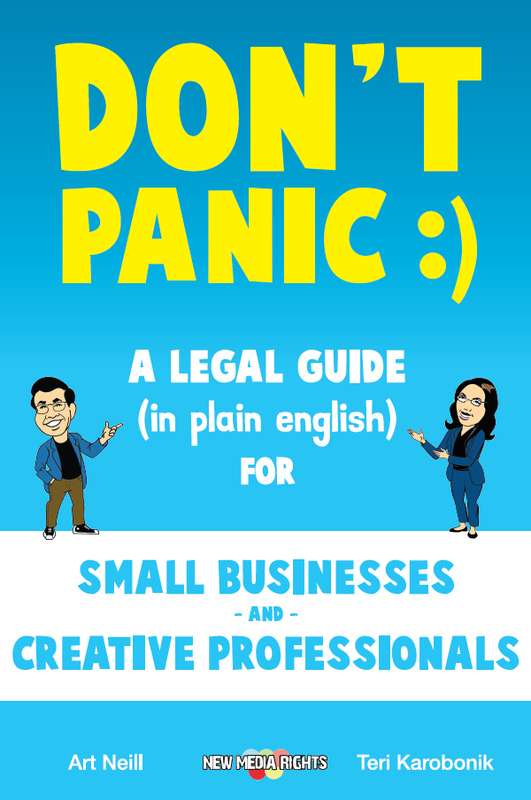 What you’ll find below is a plain English summary of U.S. copyright law along with answers to frequently asked questions about the practical ways the law affects your creative work. It’s written in an easy-to read manner, so even people without any legal training won’t have trouble understanding it. That said, we’re always looking for ways to improve it, so if you have suggestions, definitely include them in your comments. You can read this guide from start to finish like a book, or if you have specific issues, you can consult the table of contents and skip through to the most relevant topics. V. How long will my copyright last? VIII. How can I get permission to use someone else’s copyrighted work? XI. I’ve been caught using someone else’s copyrighted work without permission, what can I do? XIII. What is a derivative work? Can I make something new out of someone else’s work? What are the big problems with the copyright laws in the US? Is a web address (a URL) subject to copyrights? Can you copyright clothing designs? How can you find out if a work has an official copyright with the US Copyright Office? Who owns the copyright of a song that I co-wrote with someone else? What is required from open source licenses? What rights does a copyright holder have? 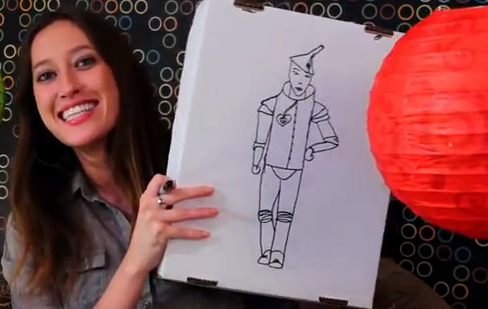 Do I need to make a notice on all of my work that it’s copyrighted to be legally protected from people copying it? Can I sell the commercial software that I create using open source code? What is a copyright assignment? Why would a book not have a copyright date? Does that mean it's public domain? What are some examples of public domain? Are cancelled stamps in the public domain? Are mugshots in the public domain? Are historical speeches in the public domain? VIII. How can I get permission to use someone else’s a copyrighted work? How do you find out who owns a copyright? How do I find out who owns the copyright in a book? How can you find copyright info of a book? Can the same book have multiple copyright dates? Is a copyright date the same as a publication date? Do I need a license to use a font? What are websites where can I download copyright-free songs? Are there any sites that I can legally download music and movies from? What should I do if suspect someone is infringing on my copyright? What are the penalties for false copyright claims? Instead of copying something directly, I spent a lot of time remaking it myself. Is that a way to get around copyright laws? Is downloading Morpheus a copyright issue? What legal consequences can there be for illegally downloading movies? What can happen to someone if they get caught illegally copying or distributing copyrighted material? Is watching streaming movies legal? XII. 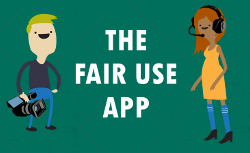 What is fair use? Does fair use allow me to use copyrighted work for free and without permission? How much of another person’s work can I use and still be protected by fair use? What percentage of a design must be changed to avoid copyright infringement? Who is protected by fair use? Is permission required to use copyrighted material of others? Can I use portion of a copyrighted song in my own song or podcast? Is it legal to base your site's template on another website?